Can the design of objects around us affect our physical and psychological wellbeing? A glance at the new collection by the Lebanese designer, Richard Yasmine - The Cure - on display during Milan Design Week 2019 suggests that the answer is yes. Eileen Fisher and Edelkoort Exhibitions present WASTE NO MORE in the galleries of Ventura Centrale at the 2018 Fuorisalone, exploring the theme of the circular economy referred to the fashion system as a response to the huge environmental impact of the textile and apparel industry. 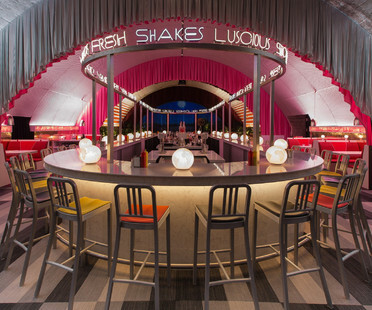 The creation of a space suspended in time for a really immersive experience in American design and atmosphere with one of the country's most iconic cultural experiences: “The Diner” by architect David Rockwell celebrates the 25th anniversary of leading American design magazine Surface. The exhibition-event by the monthly magazine Interni for the Fuorisalone during Milan Design Week, located in the courtyards of the University of Milan is one of the most hyped-up events of the Fuorisalone and this year it turns twenty. 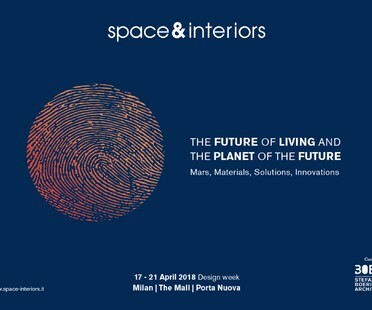 Climate change, nature, new digital technologies, and multifunctional interconnected spaces are the key themes emerging from the 57th Salone del Mobile di Milano and Fuorisalone events. Milan Design Week is always a great opportunity to meet designers from all over the world. 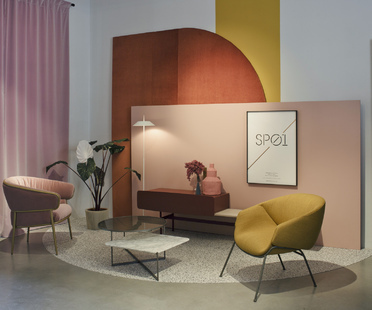 With HAWA Beirut, Lebanese designer Richard Yasmine created a collection of pastel-hued furniture with a timeless beauty, whose arches are a tribute to Lebanese architecture.